Comikaze Expo This Weekend! Check out my goodies! Hey, L.A., Stan Lee’s Comikaze Expo is this weekend, Saturday and Sunday at the L.A. Convention Center. The Brands Boutique will be selling some of my items there as well, so check out their booth #1112! They’ll have my new gummy bear hair clips, which I don’t even carry in my own Etsy shop yet (soon! ), and also some fun new product displays I made for the pizza brooches and rocket popsicle brooches. My buddies from Chubby Bunny and BubblePunch will also be on a panel on Saturday about how to “Organize Geek Culture” with “events, parties, and online activities to develop community within the Nerd realm!” Go check it out and tell me what it’s like! cute photo by Brands Boutique! 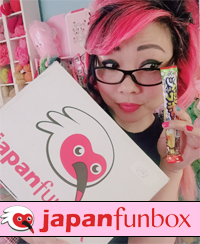 I’ll be crocheting the weekend away, working on a reaaaally neat potential collab project for Yummy You! that would hopefully be available before the holidays. Fingers and crochet hooks crossed! Also on Sunday, my studio space will be featured on somebody’s blog. I’ll tell you more then, and you can check out my HQ! 7 Responses to Comikaze Expo This Weekend! Check out my goodies! 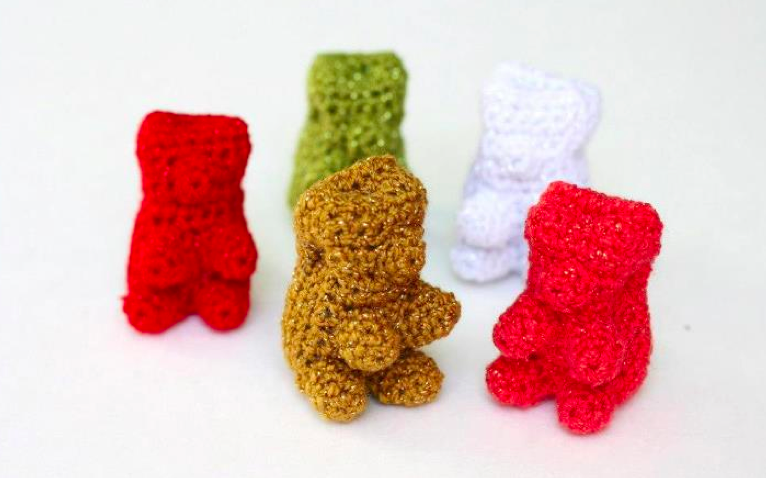 Did you find out yet if your gummy bear pattern was picked? I’m so anxious and excited at maybe being able to get the pattern! Hi HI, I didn’t win the contest, but I am going to let Lionbrand release the pattern on their site :). I Just need to find some time to clean up the pattern and make some samples to send them! I will be watching Lionbrand for the web site for the patterns. They are so cute. Dang, 🙁 …….. I really think its awesome and look forward to trying it out! 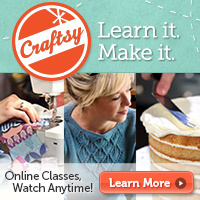 I see your craft shows events advertised and think in my head “I HATE LIVING IN PENNSYLVANIA!!!!! !” No one makes fun crocheted things- it’s all country themed or 70s style holiday decorations. Nothing new, funky or cute. I absolutely love the gummi bears! Have you ever thought about doing a fruit basket? My grandmother has one made of glass, my mother-in-law has one made of wood, my mom at one point had one made of wax. I think it’d be neat to see one made of yarn. I have your book and it is great and so many fun things to crochet.